The recall applies to 192,676 Chevrolet Colorado and GMC Canyon regular and extended cab pickup trucks from the 2004-2011 model years as well as 2007-2008 model year Isuzu i280/i370 trucks (read: Isuzu-badged clones of the Colorado/Canyon). 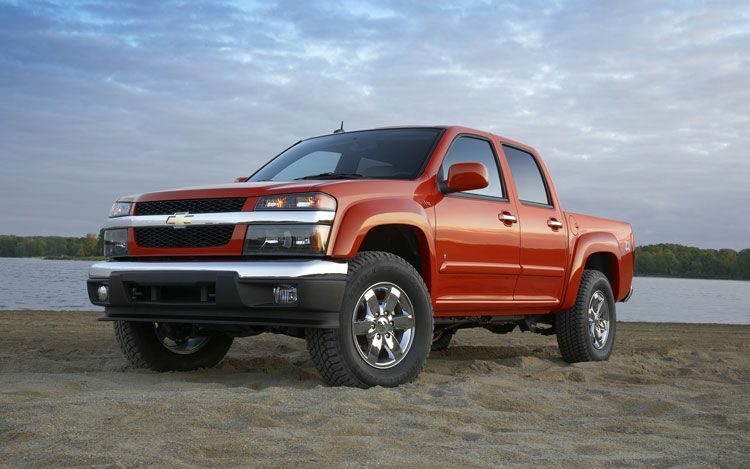 The recall only affects trucks equipped with a 60/40 split bench seat. The culprit is the child restraint top tether anchor for the front center seat position; it’s not accessible in the vehicles as necessitated by U.S. and Canadian federal motor vehicle safety standards, resulting in the inability to properly secure the child restraint without the top tether anchor. Though the safety standards require the presence of the tether anchorage, GM strongly discourages the use of the center seat position for a child seat because of its proximity to the air bag in a crash. If a child seat is necessary in a vehicle with no rear seat, GM recommends using the child seat in the right side passenger seat where a top tether anchor is already accessible. Dealers are to service all vehicles subject to this noncompliance recall at no charge to customers, regardless of mileage, age of vehicle, or ownership if the customer requests the repair at any time. Owners of the vehicles can schedule a free service at their local dealer regardless of mileage, vehicle age, or ownership. Poll: Should GM Trucks Offer A Ram MegaCab Rival? I had a Canyon work truck with extended cab and no back seat, it had the 60/40 front cloth arangement, frankly I never noticed the lack of provision not having pre-todeler children. I always thought the 60% passenger side seat was for a laptop or handbag not a person, even though my 07 Canyon did have a lap belt for that position. My truck was totaled when an inattentive driver crossed trafic in front of my and hit the driver door of my truck t-bone and shoved me off the road tearing the rear axel off the spring brackets when it came to rest against a high curb, I was shaken and uninjured, and my laptop was fine as well, both me an the Dell were wearing our seetbets.